Displaying product signage or company banners at a tradeshow is the perfect opportunity to truly give a great impression on potential customers. Given this great time for visibility, it is crucial to make sure that your signs and banners are outstanding and get the message across. Same Day Banners Houston is an expert at creating great, colorful signs or banners for tradeshows. Tradeshow banners and signs can be printed in advance or we can even print them same day. Simply supply us with your sign or banners artwork or your company/product logos and we can assist from there. Common banners printed for tradeshows are usually vinyl and made to withstand elements and repeat usage. Same Day Banners Houston creates banners for tables, for tradeshow booths, banners and signs inserted into pop-up stands, signs that can be displayed on eisles and many more. Don’t forget to order custom product labels or company stickers to lay out as take-aways for potential clients. What better way to brand a product or company but to give out vibrant stickers that will spread word of your business beyond the tradeshow. Contact Same Day Banners Houston today for your tradeshow signs, banners and more. 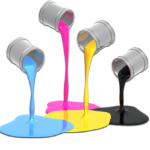 We offer free quotes on printing as well as run special offers and creative deals. Same Day Banners Houston will print your tradeshow banners and signs efficiently. A local printer in Houston, Same Day Banners Houston is an expert in marketing, printing and creating high-quality products, banners and signs. We will meet and beat any price. See our 5-Star Reviews on Google – Same Day Banners has many happy, repeat clients.Call us today!